Will the new hierarchy follow the same direction as the previous one? Or will they choose a different tack altogether? For the Institute of National Anti-Doping Organisations (iNADO), it was always going to be the former. After all, iNADO chief executive Graeme Steel and his predecessor Joseph de Pencier are cut from the same cloth when it comes to anti-doping matters. 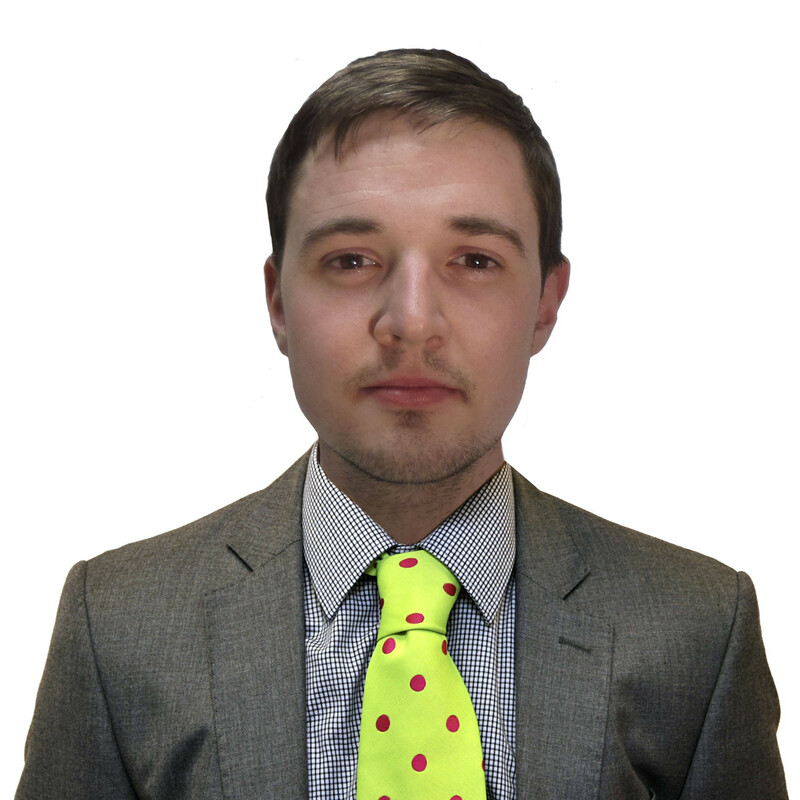 The umbrella group, pilloried by some and praised by others during a breathless year of sports politics in 2017, were not shy to speak out under De Pencier and that trend is sure to continue with Steel now at the helm. The New Zealander has already picked up where his Canadian counterpart left off after the iNADO released a statement criticising the International Olympic Committee (IOC) for failing to publish the exact criteria Russian athletes must adhere to in order to be cleared to compete at next month’s Winter Olympic Games in Pyeongchang. In the statement, released on Thursday (January 18), the INADO strongly urged the IOC to publish such criteria as soon as possible. The failure to do so already, the group said, was a "missed opportunity that has undermined the rights of clean athletes". This has been a common theme in iNADO rhetoric in recent years and, whatever you might think of the group and their intentions, it is good to see somebody speaking out on behalf of those who actually matter in this protracted saga. "Published objective criteria serve the interests of clean athletes and will help to restore confidence in the integrity of international sport which has been deeply damaged by the Russian doping scandal,” the statement, released following a meeting of 19 National Anti-Doping Organisations (NADOs) including those from Britain and the United States, added. In some ways, they have a point. The Winter Olympics in Pyeongchang move closer with every passing day and the uncertainty hovering over Russian participation is understandably a source of constant frustration, particularly from those athletes who will be competing at the Games. The IOC may claim it was a deliberate move to in order to entrust their experts and permit more flexibility but it has hinted at the longstanding lack of transparency issue which has plagued the organisation for decades. The United States Anti-Doping Agency were having none of it. "Classic IOC mumbo-jumbo," they tweeted alongside a link to last night's IOC press release, which revealed Russia's team at Pyeongchang 2018 could be nearly as large as their Sochi 2014 squad. "Publicise the individual names and testing history!" I have long thought the IOC have been making this whole process up as they go along and there has been an astonishing lack of clarity from the outset and throughout. Even when the IOC announced in December that Russian athletes would have to participate as neutrals at Pyeongchang 2018, they gave only the tiniest of details on the eligibility criteria. They instead established an Invitation Review Panel to decide which competitors will form the Olympic Athletes of Russia (OAR) team. Eight weeks have passed since and only now are we getting a clearer idea as to who will be on the neutral squad for the Games. Up until very recently, there was also no obvious timetable for crucial appearances from Russian athletes sanctioned for their role in the doping scheme before the Court of Arbitration for Sport (CAS), which only added to the confusion. A final decision from the CAS could come as late as early February, barely a week before the Winter Olympics Opening Ceremony is due to take place on February 9. The IOC has insisted the OAR team will be confirmed before the sports entry deadline of January 28 but such statements were proven false last year - for example when President Thomas Bach said the Oswald and Schmid Commission reports would be published by the start of the winter World Cup season - so it would be naïve to take that at face value. The INADO publicly denouncing the IOC’s actions, or supposed lack of, is nothing new. The organisation, which aims to represent the best interest of NADOs across the world, has frequently clashed with the IOC on the Russian scandal. Last year, during the Session in Lima, the iNADO sparked fury from World Anti-Doping Agency (WADA) and IOC officials alike when they called for the entire Russian team to be banned from Pyeongchang 2018. It was one of many examples of the iNADO disagreeing with the course of action taken by the IOC but this time they also managed to irritate both sides as the call was met with an angry response from WADA President Sir Craig Reedie, who probably wanted to use stronger language when describing the INADO as "unhelpful". It did, however, lead to a softening of tensions between WADA and the IOC which had unquestionably been a hindrance to the anti-doping effort. 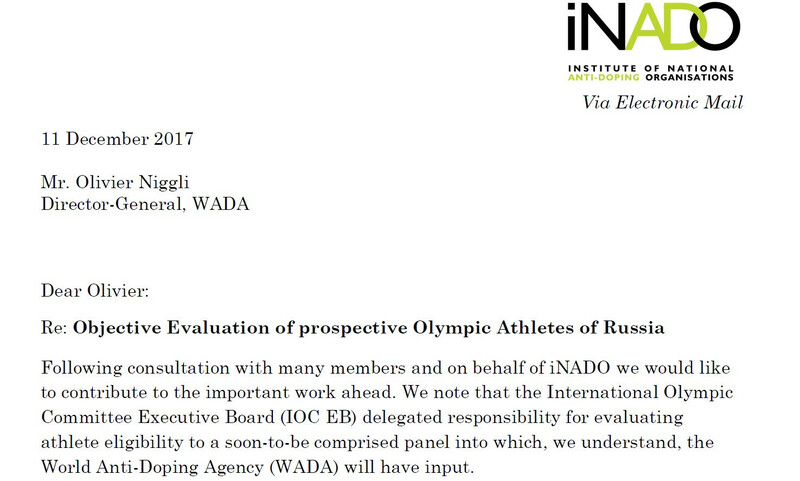 WADA may yet find themselves caught in the INADO-IOC crosshairs once again as the statement from the umbrella body was accompanied by a letter from Steel to director general Olivier Niggli, expressing hope that they would "recommend objective criteria to guide the invitation panel" in determining the size of the OAR team in Pyeongchang 2018. As someone told me earlier this week, WADA’s response to the latest potential conflict depends on which form of the organisation turns up. Will it be the one which recommended Russia be banned from Rio 2016 or will they continue to their more IOC-appeasing stance of recent times by backing the steps taken thus far, despite the criticism from the iNADO? Whatever might happen in the coming days and weeks, the iNADO and WADA agree on one thing; the need to better protect whistleblowers. Grigory Rodchenkov, the man who lifted the lid on this whole sordid affair, has been continually attacked in Russia with death threats and a concerted effort to discredit his character and credibility. Rodchenkov’s lawyer Jim Walden has been scathing of the IOC for their supposed weak response, something the INADO were keen to address. "The protection of whistleblowers remains a matter of great concern and the NADO leaders called upon the IOC to provide more assistance in this regard by publicly calling for the whistleblowers protection and conditioning any Russian Olympic Committee (ROC) reinstatement on their ongoing safety," the INADO statement read. The latter part of that particular sentence from Steel suggests the iNADO do not want as swift a return for the Russian Olympic Committee (ROC) has been mooted following suggestions that they may be reinstated in time to fully participate in the Pyeongchang 2018 Closing Ceremony. The coalition of NADOs believe the ROC should not be welcomed back from the cold until the requirements laid out in WADA's roadmap for Russian Anti-Doping Agency recompliance are met. This remains unlikely as the two outstanding criteria - a public acceptance of the McLaren Report and access to samples stored at the Moscow Laboratory - are a long way from being ticked off. The timing of the iNADO release is also too much of a coincidence as it came at a time where the IOC are being widely praised for their role in North Korea participating alongside the host nation at next month's Games. It also followed hacking group Fancy Bears' attempting to reignite tensions between the IOC and the "Anglo-Saxon" lobby lead by WADA and the United States Olympic Committee. The INADO’s viewpoint, outlined by the statement and in the letter from Steel, shows they are continuing to up the ante on the IOC even with a new chief executive calling the shots. But it may prompt a re-opening of the wounds present in the build-up to Rio 2016, which no-one, not even the often outspoken iNADO, will want to see.